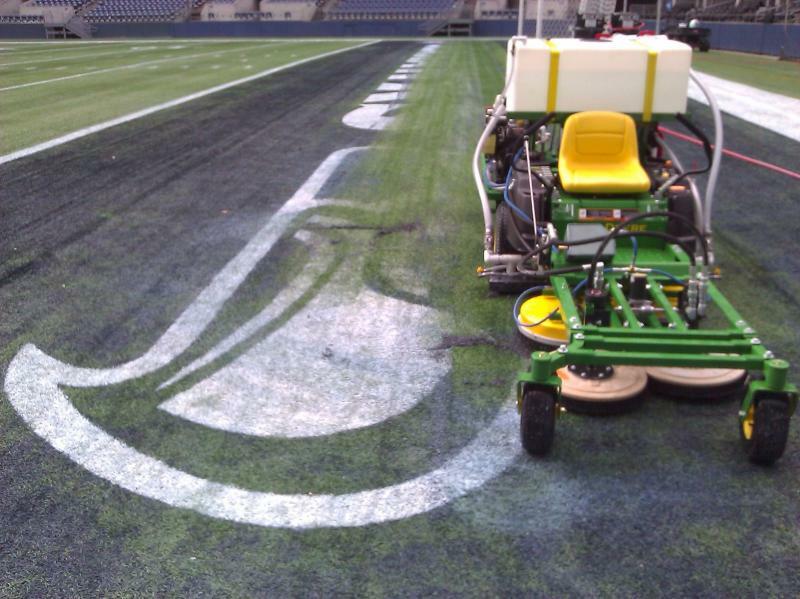 Welcome to Professional Sports Field Services, where maintaining field safety, performance, and longevity are our goals. Since budgets have been reduced, the realities of financial insecurity impact more and more on our everyday lives, we all look for ways to cut costs. But with each cost cutting measure, we run the risk of creating false economy, sacrificing other equally important considerations for the sake of saving a few dollars. It is very important for schools, universities, community parks, and private facilities to strike the right balance between running cost effective sports facilities and providing quality playing surfaces for students and athletes. 1. Make do and mend. 2. If it's broke, fix it! We promote health, safety, long life span of your turf, preserve the original performance characterisitics, provide the user with high performance, and bring an aesthetically pleasing appearance to your turf. The PSFS maintenance process cost effectively protects your investment. Our advanced equipment designs get it done right for you. Fo﻿r pictures of what could be lurking on your turf, go to our Grooming and Refurbishing Pictures page. Call us today to get it done right! Or talk to our General Manager direct at 419-722-0428. 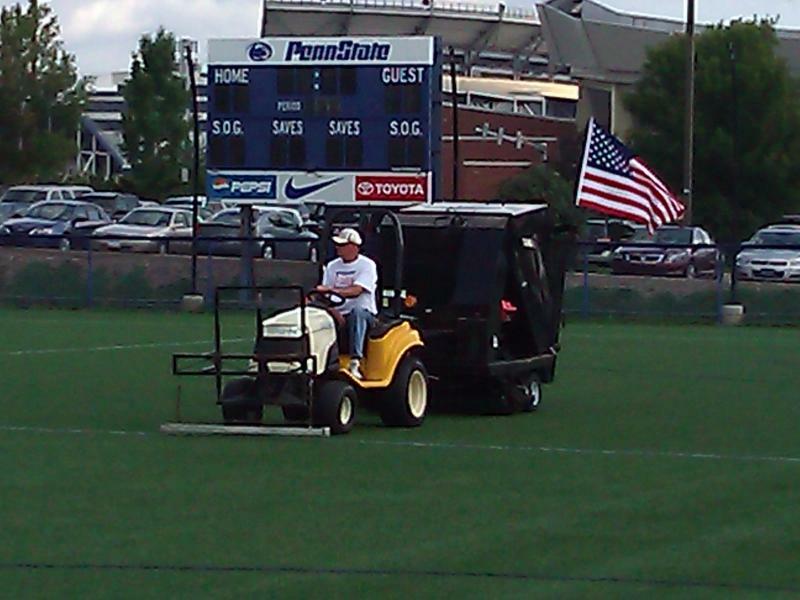 With over twenty years of company history in athletic field services, PSFS is your full service provider for your sports fields. We started with natural grass fields and have grown into a leading service provider specializing in synthetic turf cleaning, grooming, maintaining, refurbishing, and repairing. Your athletic fields will receive a complete analysis to identify all of the functions that your sports fields will be used and how your needs can best be fulfilled now and in the future. First identifying and understanding problems ensures proper, efficient, and cost effective refurbishment and maintenance. Professional Sports Field Services firmly believes in what grandpa taught us long ago, measure twice, cut once. Whether you have a concern about potential problems, battling an existing problem, or looking to build or replace without a problem, Professional Sports Field Services will assist you with the solution and stay with you as a consultant and a service provider for as long as you have the need. You get a team approach that will provide a smooth refurbishment or maintenance regime that delivers high performance athletic fields that you had always dreamed would come true. Products and Solutions with you, the owner, in mind. 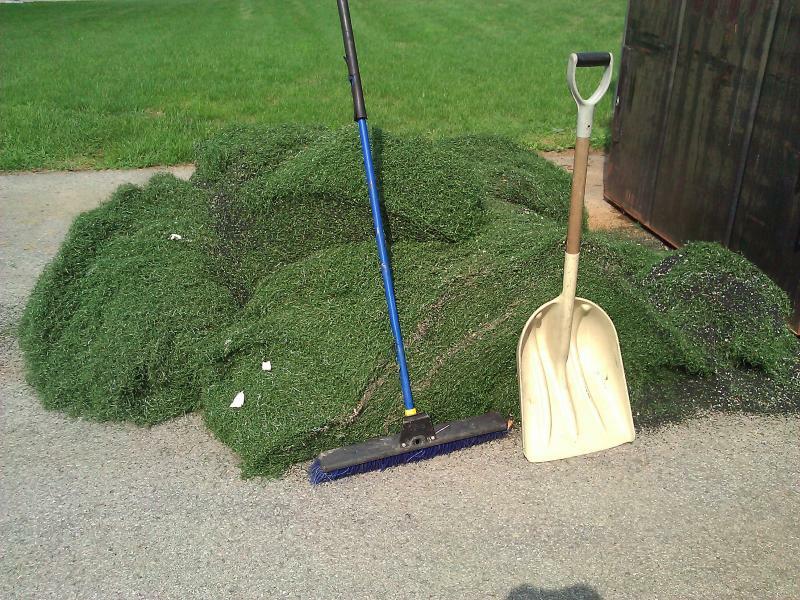 Many times we have been told that Professional Sports Field Services leads the way for willingness to assist owners of synthetic turf with their existing fields where other companies may only try to sell them a new field. We are on board with you, the owners, to improve the condition of your synthetic turf athletic fields and keep them safe and looking great for a long time. Making use of our services on a yearly or semi-yearly schedule is a great value by adding years to your synthetic turf investment. Look through our pages to learn how using Professional Sports Field Services is the right thing for you. Contact us for solutions now! To review an article in Athletic Business Magazine discussing the unique Professional Sports Field Services synthetic turf cleaning, click here. Please visit www.turftecs.com for more up to date information or call us for immediate help. What services are provided by Professional Sports Field Services, LLC? Click on the bottom right hand corner to magnify. Mainstream thinking on disinfecting turf debunked! Not Clean is Not Disinfected! Go to our Natural Cleanser Page to learn more. FLOODING OR STORM DAMAGE RESTORATION NEEDED FOR YOUR TURF? 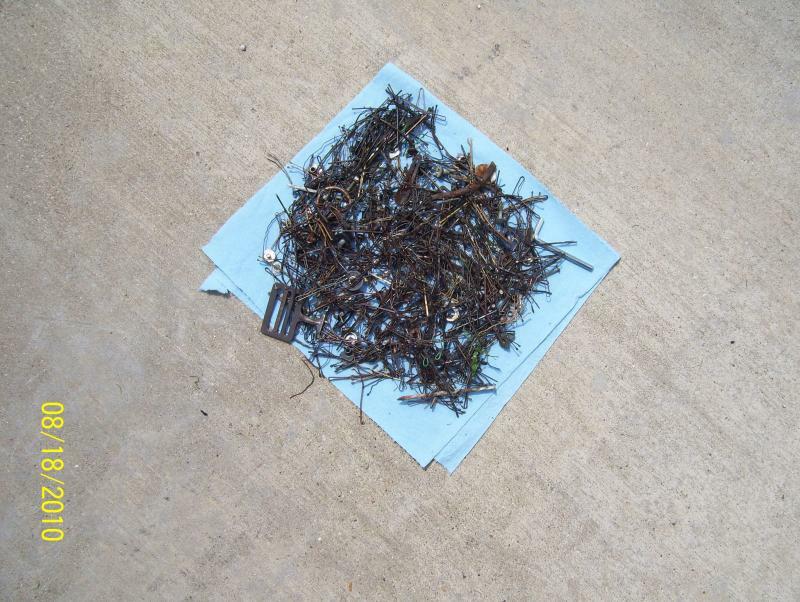 Go to our Flood Clean Up page for quick answers! CALL US TODAY, WE HAVE SOLUTIONS!!! 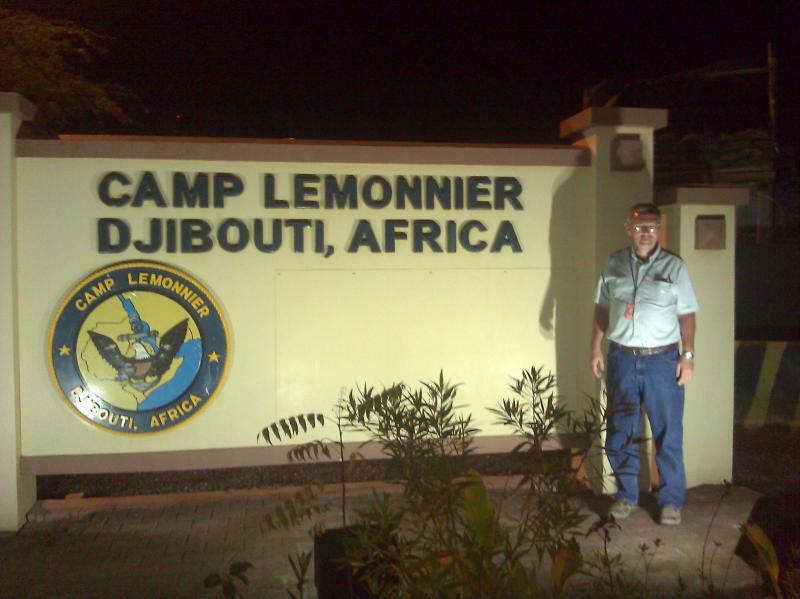 PSFS was contracted by the US Navy to remediate the turf at Camp Lemonnier in Djibouti, Africa. Pictures are on our Grooming and Refurbishing page. PSFS was selected to complete the work based on our outstanding qualifications, highly effective specialized equipment, and our focus on customer satisfaction through quality work. Dust, fines, and small debris can be removed with our unique vacuum system because we do not screen and sift the infill putting those contaminants back on your surface. We are the only service provider offering this solution. Being told or you think you need additional infill or have your infill replaced? That may not be the correct solution. Be sure to check with us first. Call us today and ask about our grooming and maintenance process for your synthetic turf. 419-722-0428. Questions about your synthetic or artificial turf fields? Give us a call or drop us a quick email. We would be pleased to talk with you about your surface! If you want, we will consult with you when it comes time to either replace your current turf or you've decided it's time for another turf field. We can help you determine the right system for your needs and even be on site as a neutral 3rd party for product and installation quality checks. Contact us now and go to the Technical Services page for more information. A revolutionary new process of turf cleaning and decontamination. Eliminates infectious bacteria, mold, mildew, viruses, and germs. All natural plant based and 100% biodegradable. Learn more on our Cleanser and Disinfectant page.